Cue up your lepidoptera-related puns: the HTC Butterfly S is now official and it comes with a 5-inch screen and that rumoured BoomSound audio nous. Running Android Jelly Bean (although whether it's 4.1 or 4.2 is unclear), the handset will come with Sense 5 on board, which means you can get the most out of the Zoe-supporting 4MP Ultrapixel camera on the back. Those selflies won't take themselves though, so the Instagram massive will be pleased to hear there's a 2.1MP camera on the front too. The 5-inch Super LCD 3 screen rocks 1080p for Full HD video and the whole shebang comes with a 1.9GHz Snapdragon 600 processor which means it should prove nippier than the HTC One (a little handset we like to call the best phone in the world today). If an HTC Butterfly S flaps its wings in Taiwan in July, will it have any effect on phone sales in the rest of the world? 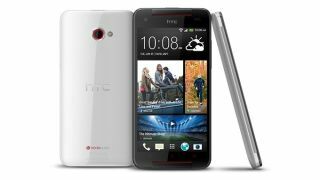 Unlikely - and we don't expect to see a handset named the HTC Butterfly S land on foreign shores any time soon. If HTC does bring a similar device to the UK, US or Australia, we'd expect a name change at the very least.